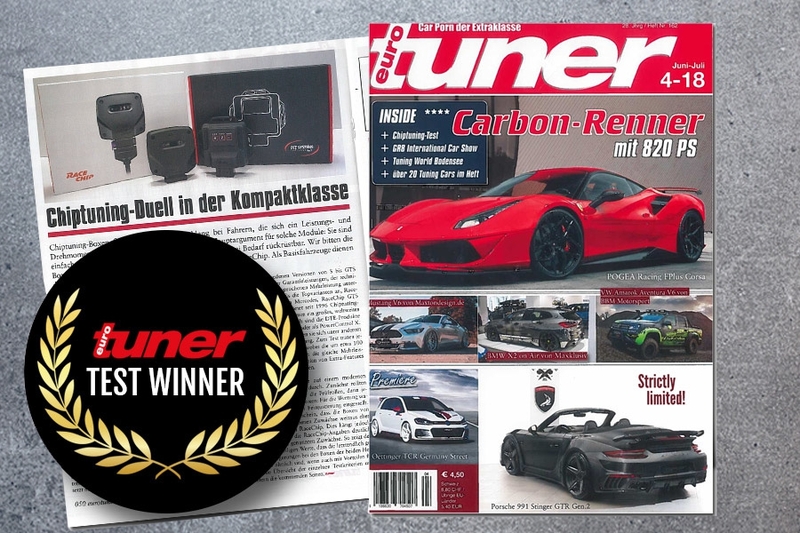 The new chip tuning system from DTE, the PowerControl X, has been singled out as the clear Test Winner for 2018 by the prestigious Eurotuner magazine, in their April 2018 edition. This recognition highlights the modules performance gains, ease of use and its app control. DTE’s tuning system completely dominated the test with a class leading package of engine warranty, app control and added services. DTE Systems shone, mainly, thanks to achieving the highest performance outcome. In addition to this and unlike its competitor, DTE achieved their claimed performance gains - in each dyno run. "We are very pleased about the award, which strengthens us on our path developing professional and safe performance products for cars, trucks and tractors," says Michael Krecek, Managing Director of DTE Systems. "This includes our additional services beyond the standard." And that's how it was tested! The tuning magazine tested the market-leading tuning systems on three vehicles in the compact class. The result was clear, DTE Systems was well ahead in terms of both maximum power as well as compliance with previously promised performance gain targets. The tuning systems were tested on cars on the A-list in the German compact segment. One diesel and two petrol powered cars were selected - the Audi A3 2.0 TDI, the BMW 118i and the Mercedes A 200. In the article, the Eurotuner editors explained that their selection was in part due to the management of central engine control units: "This was our decisive starting point, because straight from the factory, rarely do the manufacturers exploit the full potential of most vehicles today," says editor Simon Mombartz. Audi A3: rev up, finally! DTE’s PowerControl X, which was installed in the Audi A3, even achieved higher performance figures than quoted on the website, which was in stark contrast to the competition, whose claims were about 30% too high. The editors added that with the PowerControl X, "revving up sovereignly" is possible at "a small kick on the accelerator". Moreover, the torque plus was described by the editors as "clearly noticeable". 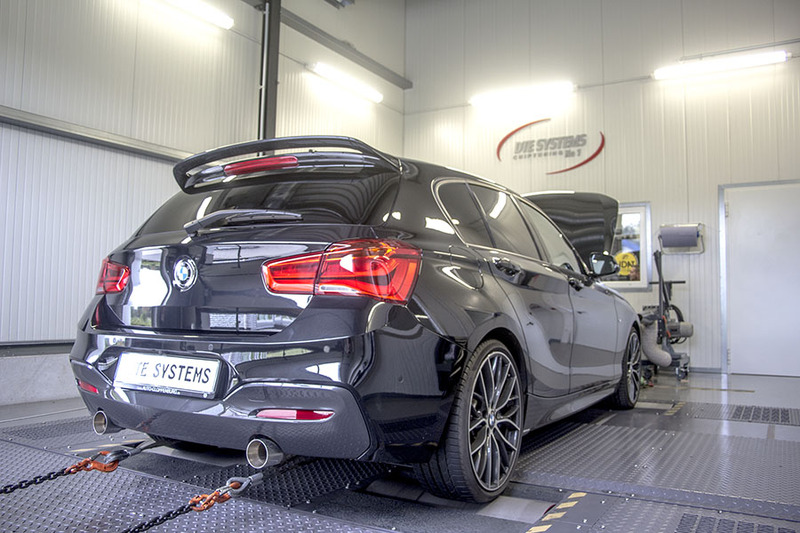 DTE Systems’ claimed performance gains were spot on for Munich's compact saloon. The BMW 118i gained exactly +22 hp more - which was precisely inline with DTE’s website. The competition managed to gain +20 hp, less than half of their initial claims of a whopping +44 hp. Above all, the test report also emphasized that with DTE’s PowerControl, the BMW’s performance was "noticeable and available over a broader rev range" and that more power was being produced overall. 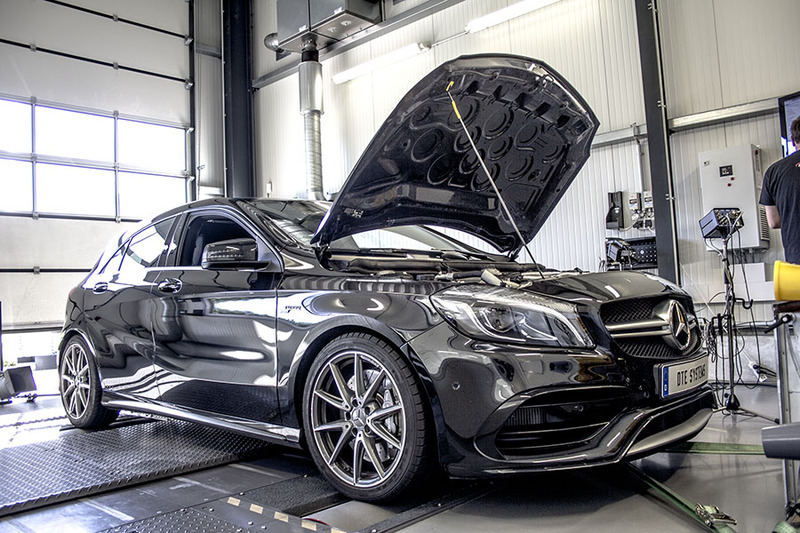 Last but not least, the PowerControl X tuning system was installed in the Mercedes A 200. Again, DTE-Systems were super convincing, and according to the editorial board, supported "the sporty character" of the South-German car. According to the Eurotuner’s report, they remarked that the box from DTE started from as low down as 3,000 rpm, and kept on pushing the Mercedes "strongly onwards". Power gain claims and measured improvements matched perfectly with +28 hp, while the competition gained +23 hp, which differed enormously from their promised +45 hp. What was also very evident was that the two-liter engine with the competitors box lost power and was "hardly distinguishable from the standard performance", the editors claimed. Incidentally, the testers even cast a glance into the insides of the modules. What they noticed was that DTE Systems had epoxy resin-encapsulated modules, while the competitors ones had no visible protection at all. In addition, all of DTE’s products that were tested had TUV parts certificates, while the competition could offer this only for one out of three vehicles tested. In the overall standings, the PowerControl X from DTE Systems earned the maximum score in all the categories, namely: scope of supply, installation and commissioning, parts certificate and warranty, software and smartphone app as well as the additional services. The full article can be read in the Eurotuner magazine (ed. 04-2018) that’s been available since the 30th May 2018. Get the test winner for your vehicle now. Choose your compatible tuning system from our configurator.